Works with all Qi Devices! – This wireless car charger is compatible with iPhone X/8/8 Plus, Samsung Galaxy Note 8, Note 5, S6 Edge+, S7 and S7 Edge, Nokia 9, Nexus 5/6 and other Qi-enabled wireless smartphones. 10W charging for compatible devices! Smart Chip – Built-in IC chip intelligently detects the exact power needed and optimizes charging. Also provides voltage protection, temperature control, and many more advanced safety features. One-handed Operation – Mount to any air vent. Simply slip your phone onto the wireless car charger mount and the dual mount arms securely grip your phone so it will never fall out. Super convenient! Adjustable Viewing – Ball pivot joint provides a wide range of adjustability. Great for both driver and passenger viewing. Easy to see no matter the mounting position. Convenient viewing and wireless charging simultaneously! 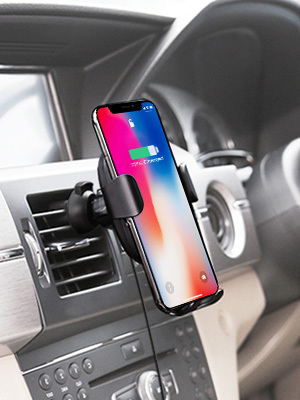 Get the most out of your phone while driving with this wireless charging mount that allows easily viewing of your smartphone with no need to constantly plug into power. Simply attach the mount to any air vent on your dashboard and slide your phone in one-handed. 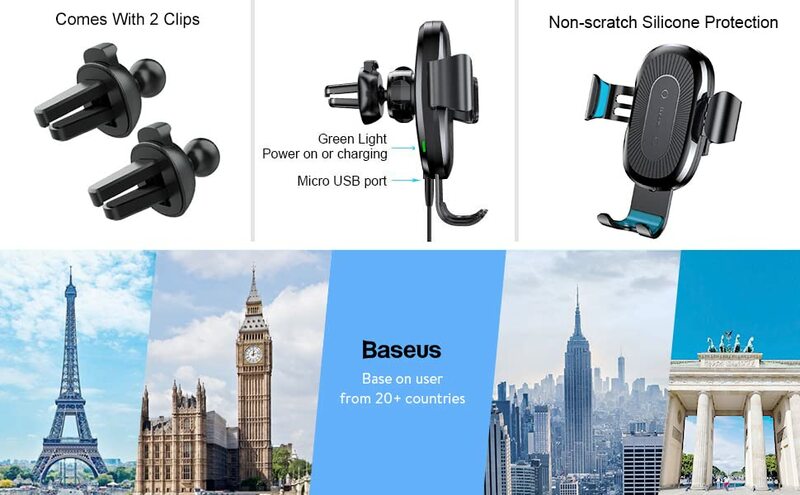 WirelessDrive is our flagship series of wireless car chargers, built using only premium materials and the most advanced wireless charging technology. 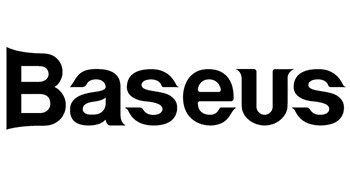 Baseus is a member of Wireless Power Consortium. 1. To ensure the charger work effectively, please remove your phone case, metal elements, and credit cards before charging. 2. Since the Charging speed of this charger depends on your adapter, we highly recommend you to choose a Quick Charge 3.0 adapter to get a faster charging. 3. It is normal that your phone will get warm while charging and it will not damage your device. 4. Please kindly be sure your phone is evenly resting at the bottom of the mount otherwise it will cause an intermittent problem. 5. Charging your phone with the screen on will lead to a large consumption, we highly recommend you turn the screen off while charging. 6. When your phone disconnect from charging while on a bumpy road, just simply realign your phone for continue charging. If you have any questions in future, kindly let us know, we will help you deal with it soon.